Our Sea Scout advancement requirements recently changed to better support paddlecraft ships. One of those changes is that it is now possible to conduct a Quartermaster cruise on paddlecraft. Macy S of Ship 1, SSS Unique in East Texas Area Council recently conducted what I believe is the nation’s first paddlecraft Quartermaster cruise, so I asked her to share the story. This is her account. For my quartermaster cruise, instead of going to SEAL training or going sailing, I took the opportunity to embrace the new requirements and take my fellow scouts and I on a weekend kayaking trip. 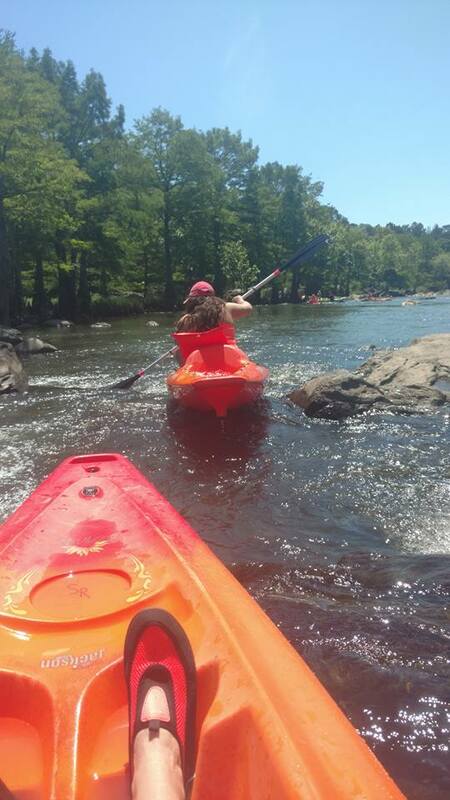 I chose the paddle cruise instead of the sailing or training course because I was more knowledgeable about kayaking and I knew the other scouts in my ship would be too. I wanted this to be not only a learning experience but a chance for us to do something as a ship family, because having a unified group is one thing that I think makes ship 1 unique, well… unique! John Shepard, a fellow scout, was a manager of a local floating company, in Broken Bow Oklahoma at the time and so I contacted him with all of the planning and housing arrangements. Through the company Skippa Rock, I made arrangements for 18 kayaks and a cabin that slept 12. We floated the lower part of Upper Mountain River the first day, which was about 5 miles, and the first half of the river the second day. The lower portion was the smoothest part of the river, allowing those that were inexperienced with that paddle crafts to become more comfortable before we went through the rapids and the 4 foot waterfall. To prepare for the trip, we met at one of the scouts house who had a pool, so anyone who wanted to go could do the Boy Scout swim test while I (a certified Red Cross lifeguard) could watch to be sure everyone I was bringing would be safe if no one was watching. After that we actually put a kayak in the pool so anyone who hadn’t been in a kayak could get a little practice in before the big day. I also handed out kayaking merit badge packets so any scouts who wanted to do that requirement on the trip could have the opportunity to do so. 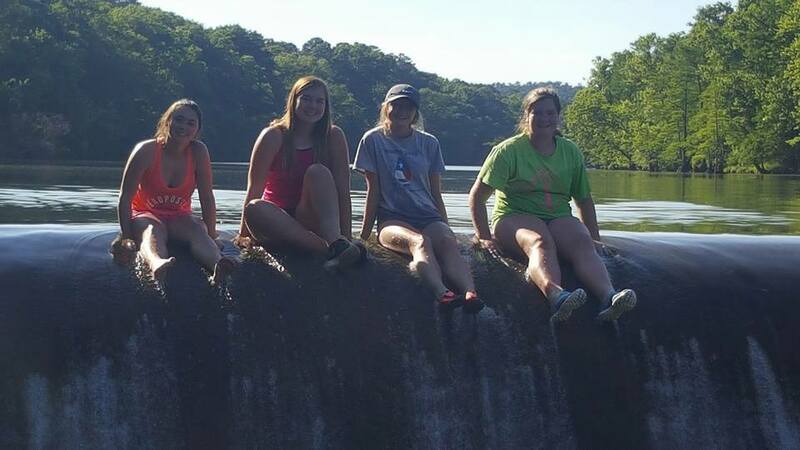 While we were there, we went sightseeing, found a man made dam and lake to swim in, and got a chance to visit local stores there in Broken Bow, and even ordered pizza from a local place called The Grateful Head (which I highly recommend by the way). Meals there were very simple, and we only cooked breakfast on the trip. During lunchtime we were on the water and packed sack lunches and plenty of water. Overall, many of the people who went said it was the best scout trip they’ve ever been on, and because I allowed non-scouting members to go, we’ve added 3 new girls and parents to our ship family.